Social housing specialist Permadoor has introduced a choice of new Eco Options to its GRP composite door range to help specifiers improve the energy efficiency and sustainability of housing stock through improved door performance. Each door in the Permadoor range can be specified with up to three Eco Options: energy efficient glazing, an innovative recycled doorframe system and recycled composite reinforcement. The options can be specified individually or in combination to achieve the desired performance criteria. The glazing options include Low E glass, which gives an average improvement in U-values of up to 0.4 W/M2k, and warm edge, Low E, 90% Argon filled glazing units, which deliver an improvement of up to 0.5 W/M2k, compared with the standard door glazing specification. The doorframe can also be fabricated from Reco22, which is the first framing system of its kind made from 100% post-consumer PVC-U waste, fully closing the recycling loop. Reco22 was the first window system to be awarded the Building Research Establishment (BRE) A+ rating for all sectors including domestic housing and is now being used in doorframe manufacture. The frame profile has an aesthetically appealing white woodgrain effect finish to complement the door leaf. The third Eco Option is a choice of frame and door cill options reinforced with recycled composite material (RCM), as a cost-effective and sustainable alternative to steel or aluminium. RCM is already included as standard in the front, rear and outhouse frame profiles. Commenting on the Eco Options, Adrian Sunter of Permadoor said: “Despite budget cuts, improving the energy efficiency of housing stock remains a high government priority. Entrance doors can be one of the main sources of energy loss within properties, especially if door construction is poor, there is insufficient draught proofing or if there is excessive inset glazing, which can be thermally inefficient. “It is therefore important that specifiers consider energy efficiency when undertaking door replacement programmes, plus, by specifying doors manufactured with recycled material, social landlords can improve the sustainability credentials of housing stock. The original composite door manufacturer, Permadoor has supplied composite doors to the social housing sector for 21 years. The company’s GRP composite doors replicate the appearance of timber doorsets but offer low maintenance with high performance. Highly resistant to denting, warping and splitting, the doors are secure and durable. 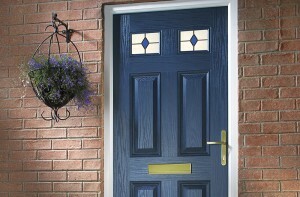 For more information on the choice of Eco Options available from Permadoor, visit www.permadoor.co.uk.